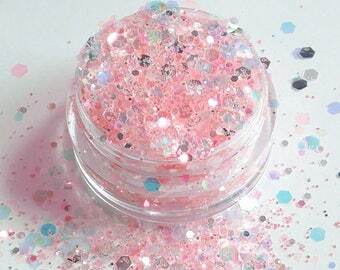 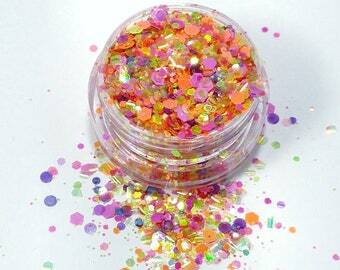 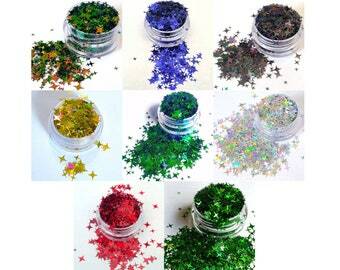 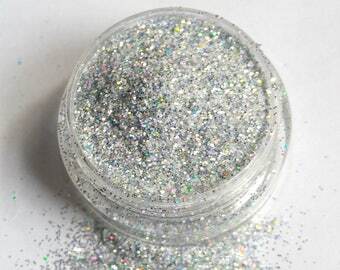 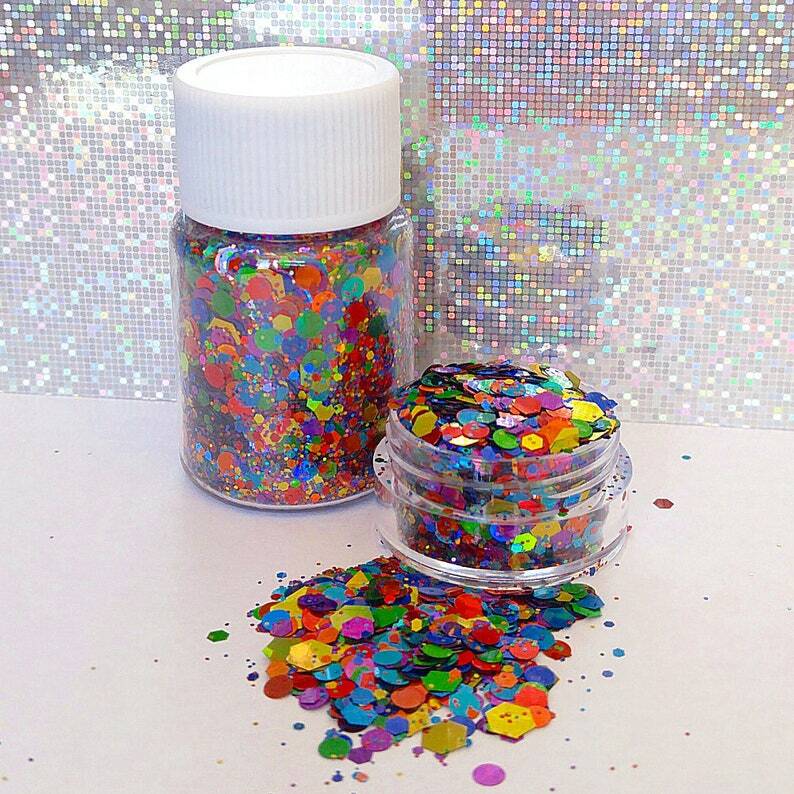 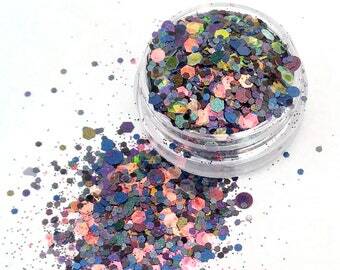 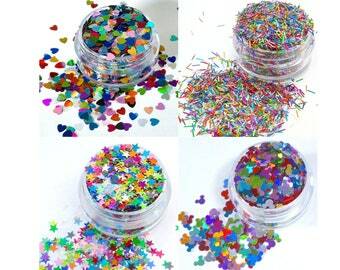 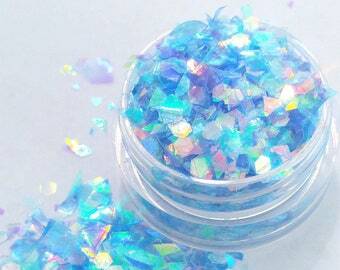 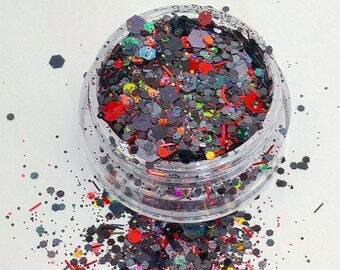 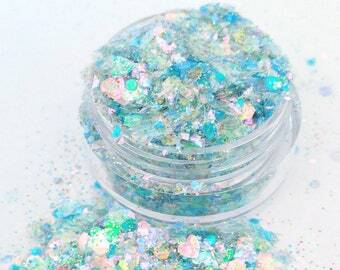 Loose cosmetic holographic hexagon glitter mix for face, body, nails, hair, crafts, tumblers and slime. 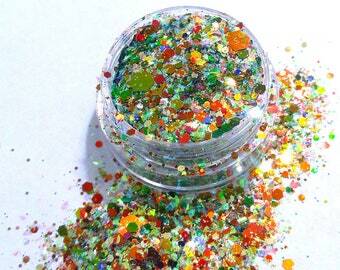 Variously sized flakes. 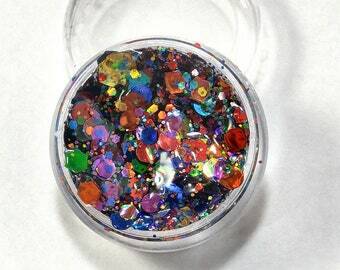 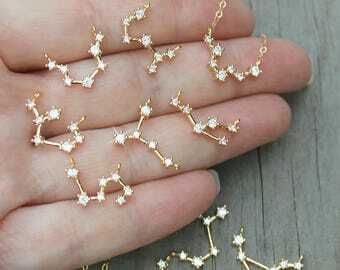 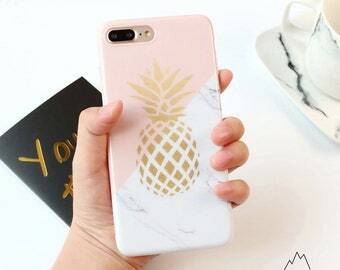 Also great for glitter nails, craft projects, and slime creations. 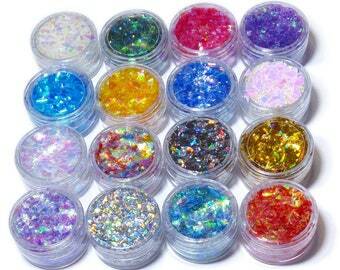 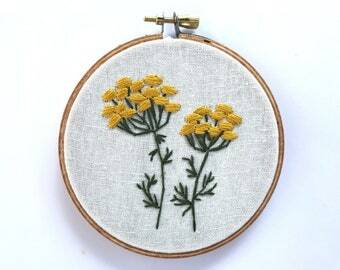 Available in 1.5gr sample pots (2.5ml) right up to 30gr jars (50 ml) for this listing. 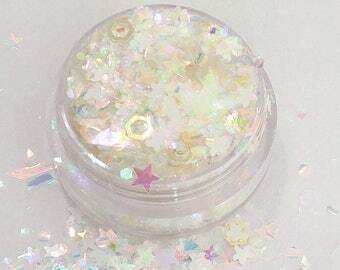 10gr/11ml jar = 2 tsp approx. 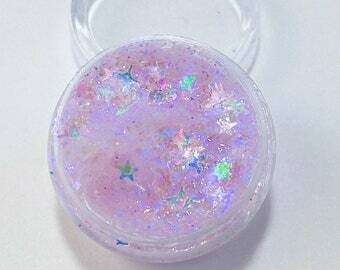 Such pretty glitter, super fast international shipping, thanks for the free sample!